Our brains affect our bodies but our bodies also affect our brains. Physical movement will retrain the brain in different ways. SOUNDSORY® engages the user in a series of 50 special exercises that cause the neural networks in the brain to grow and become more efficient. The body movement exercises can be easily adapted to each individual. As long as the user is trying his best, he cannot “fail”. 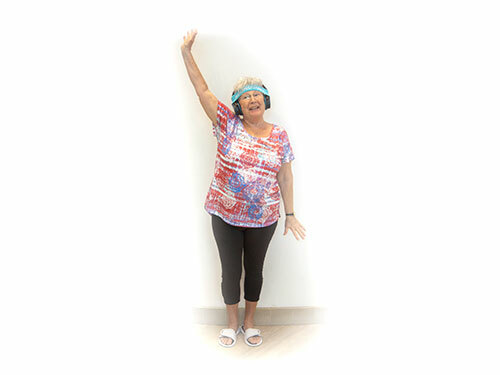 The SOUNDSORY® program helps to integrate correct primitive reflexes through a series of repeated exercises. These primitive reflexes are automatic movements directed from the brain and executed without cortical involvement. As primary infant reflexes fail to integrate, the range and severity of motor, communication, cognitive, emotional and behavioral issues correspondingly increase. Some movements are dedicated to correct postural habits by increasing awareness of muscular tension. Timing and rhythmicity are important functions that relate to a variety of cognitive and motor skills. The user is invited to repeat specific movements and progressively accelerate the rhythm of those movements once it is well integrated. Balance movement and spatial judgment closely relate to body awareness and coordination. From standing on one foot to moving with cadence, the user is asked to repeat simple and complex movements.